Choi Kang is jobless while his family is poor and has no influential connections. 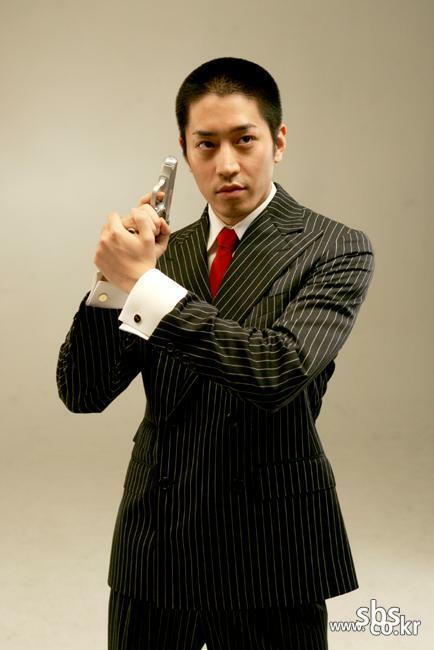 But he is recruited by the President of Korea and becomes an agent at the top-secret Korea Secret Agency (KSA)! Choi Kang is a jobless young man who spent a year doing nothing. He applied to over 100 companies and posted his resume on online job search websites without any success. Meanwhile, his younger brother Choi Sun gets hired at LK Group and becomes the pride of the family. So out of desperation, Choi Kang decides to apply for the civil service exam and gives up on finding a job in the private sector! On the day of the civil service exam, he saves the life of an old lady who could have been hit by a car in front of Gyeongbokgung Palace. The car that almost hit the old lady was the president's private car. Without giving any reasons, Choi Kang refuses to receive a distinguished medal from the president for averting a fatal accident that the president could have committed. Kris Nov 29 2018 6:39 pm I prefer this one to the super rookie one. I wish I could watch this one. Seems the first one is the only one available and subbed properly. zindy Nov 30 2014 8:42 pm Is there season 2, if not the drama didn't end well because Alice came back and the working relationship between Alice and Uno was not explained to extend she was naked in front of him, there should be season2 to explain why Alice came back. Janet fears Dec 12 2012 10:23 am Keep up the great drama series...they are really good. My husband lived in Korea durning the army in 1976-1977. Still remembers it well ! CAGOME May 14 2010 3:32 pm HOT AGENT!VERY GOOD MOVIE!